FIBER! What an exciting topic right? I know you are all chopping at the bit just waiting for me to get into the exciting world of fiber and flax seeds. Probably not but I think this is a super interesting and important subject. A lot of the time in a bid to increase your fiber intake people reach for that box of bran assuming that it is the best and healthiest option. Truth is bran is really rough on your insides. Sure it does the job and gets things moving and keeps things regular, but it almost does too good of a job and really ends up doing a number to your intestinal walls. So if bran isn’t the best option where does that leave you? 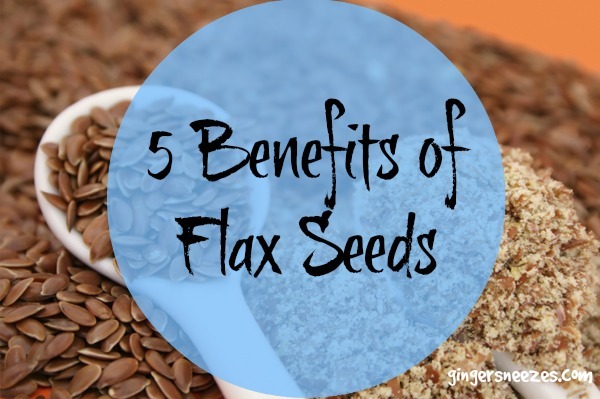 Well there are actually a massive number of different foods that will help you hit your daily fiber requirements and will help to keep you “regular” as they say but for the sake of today’s post I have chosen flax seeds because they are more than just fiber. Flax seeds are all over the place these days they come in a variety of different forms: whole seeds, ground seeds and oil. The versatility of this seed makes it super easy to incorporate into your regular every day meal plans without too much effort and will hopefully only really provide you with some happy healthy benefits. I say hopefully because everyone is different and people can be allergic or react poorly to anything, so test it out for yourself and see how you’re feeling. So why is flax so great? In it’s seed form the body can’t really digest it so it helps to clean out your digestive track and promotes healthy movement of food particles and whatever else is left over in there, helping to keep you regular or get things moving where they once were stalled. It is full of Omega 3 Fatty Acids. Omega 3 is one of the essential fatty acids that we just don’t get enough of in our diets. Sure they have things like omega 3 enriched eggs, milk and whatever other products they have out there, but really the best way to get omega is from the source itself. So foods like flax, fish, and supplements are often the best route. Increasing your Omega 3 levels will not only help on the keeping your regular side of things, it will help in the body’s metabolism of fat and can aid in providing some relief due to inflammation. As a runner I can vouch for the latter, I notice a substantial difference in the state of my knees when I increase my Omega 3 intake, I do this by adding flax to my smoothies, salads, granola. In order to get the Omega 3 benefits from flax seed it is best not to cook it, cooking flax denatures the fats. Flax contains lignans which are linked to helping reduce the risk of breast cancer in women and prostate cancer in men. These same lignans might also help relieve some symptoms of menopause, such as hot flashes. Flax oil is a great alternative to olive oil or nut oils when making your own salad dressing. It might not be full of fiber but it is full of Omega 3s and has it’s own unique nutty flavour, it makes a great addition to your cold oil choices. Flax is a soluble fiber so it has the chance of helping to lower your cholesterol and risk of heart disease. All of this being said it is important to note that not everything works for anyone. If you are using flax seed to increase Omega 3 it is important to start off slow and gradually increase the amount you are consuming, because remember it is full of fiber and will therefore act almost laxative like in larger doses. If the goal is to “clean” your system out larger amounts might be what you are looking for. Just be sure to take care in finding out what works for you and your body. It is also important to note that milled or ground flax seeds and flax oil should be kept in the fridge or somewhere cold. Their make up is pretty finicky and can easily become denatured, which means it might be better to buy whole flax seed and grind them up on your own. But once again play around with what works for you, if pre-ground seeds is what works for you just be sure to store them in the fridge and be aware of their expiry date. So that is a brief round up of the glories of the all mighty mini flax seed. If you have any other foods you are interested in learning a bit more about let me know and I would be more than happy to write up a post. This entry was posted in General and tagged benefits, cancer, clean eating, constipation, digestive. care, flax, flax seed, health, menopause by healingginger. Bookmark the permalink.